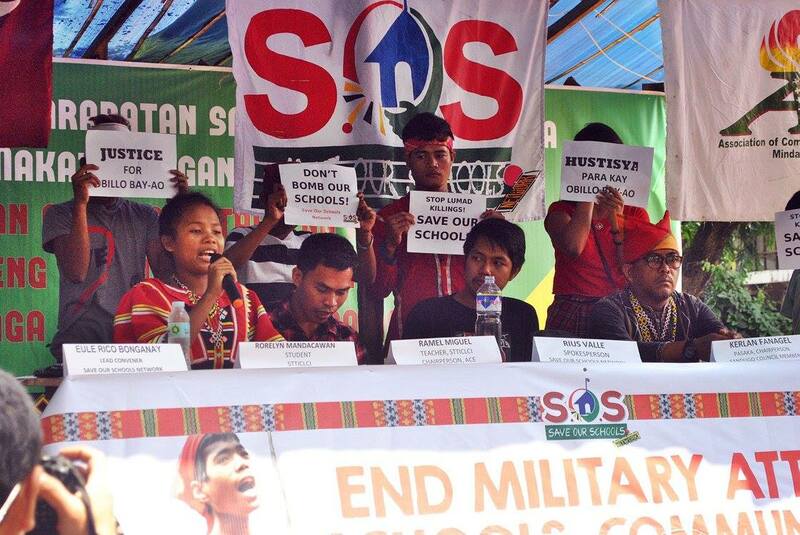 MANILA – Seventeen-year-old Rorelyn Mandacawan, a grade 10 Lumad student who is in the capital for the three-week-long protest caravan Lakbayan, is aching to go home to Talaingod, Davao del Norte. Like the rest of her cousins and school mates, they want to go to the funeral of Obillo Bay-ao, the 19-year-old Manobo student who was killed by two paramilitary men yesterday, Sept. 5. “We want to see him, even for the last time,” Mandacawan told Bulatlat. “Buutan,” or kind and affectionate, she described Bay-ao, who was also her first cousin. 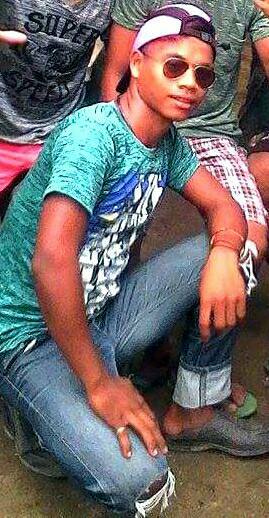 He was good in dancing, drama, and rap singing. 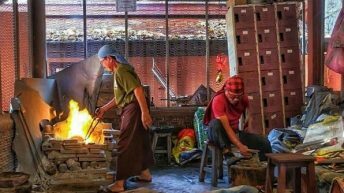 He was so talented, she said, and a responsible young man, who used to drive a habal-habal aside from helping in his family’s farm. He also advised them not to think about getting married yet, and instead, be hardworking in school. 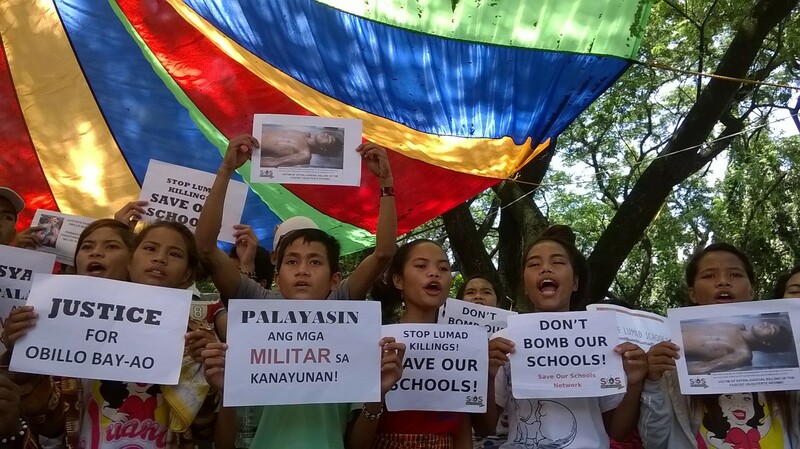 But Mandacawan and other Lumad students wish not to go back to their school, the Salugpungan ta Tanu Igkanugon Community Learning Center (STTICLC) based in sitio Nasilaban, Palma Gil village. They were so gripped with anger and sorrow, that they dared to say they will join revolutionaries to get justice for Bay-ao, who was cousin to most of them and a beloved leader of sorts. “Mag-ingat ka, Duterte. 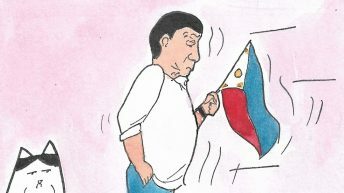 Pag-uwi namin, magrerebelde na kami…kahit mamatay na, tutuloy pa rin namin ang laban bilang mga pinsan at kaklase niya, (Beware, Duterte. When we get home, we will join the rebels…even if it costs us our lives, we will continue the fight as his cousins and schoolmates),” said Mandacawan in front of the media today, Sept. 6. 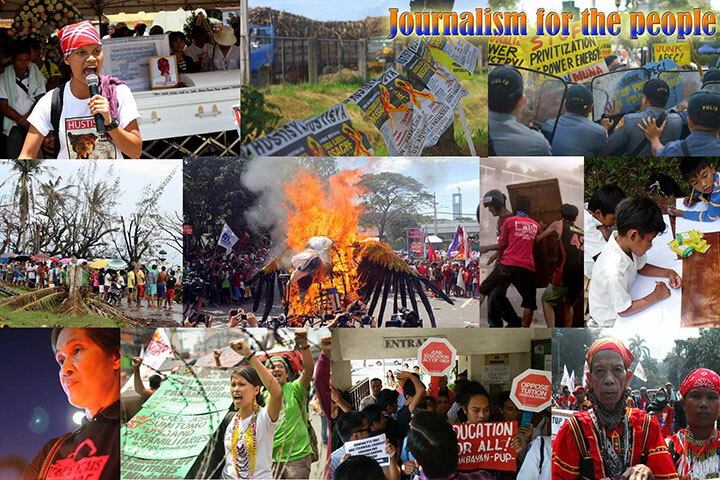 The press conference was held at sitio Sandugo, the Lakbayan camp at the Equine Stud Farm inside the University of the Philippines Diliman. Such brazen statement comes not because of the curriculum in their school, as claimed by the military, and recently, echoed by President Duterte. Rage has built up among children and youths who grew up amid perennial militarization of their communities, harassment on their parents, and later, attacks on their schools. Bay-ao’s death has stirred the indigenous warrior blood among a people known to stand against injustice and oppression. 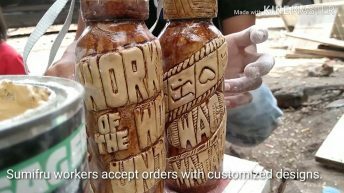 “Pero sila nagtuturo sa amin paano magrebelde (They are the ones teaching us to become rebels),” Mandacawan told Bulatlat in an interview. She said her mother, Rowena Mandacawan and her two uncles, Benito and Benjo Bay-ao have been wanted by the military because they have asserted the right to ancestral lands and to their children’s education. So are many other datu (tribal chiefs) have not been able to return to Palma Gil for two years because of threats to their lives. Bay-ao was shot dead by two members of the Lumad paramilitary group Alamara, Joven and Ben Salangani, who are cousins and residents of sitio Barobo in Palma Gil. Ben Salangani is also with the Citizens Armed Forces Geographical Unit (CAFGU), to which many Alamara men were accredited. The Alamara reportedly threatened that if any of their men were killed in fighting New People’s Army (NPA) rebels, they will take it out on the community. Joven Salangani has a standing warrant of arrest after being charged with the murder of another Salugpungan student, Alibando Tingkas, 15, who was killed last year. The arrest warrant remains to be served, even as Salangani freely roams the Alamara camp in Barobo. Alamara, which translates in Manobo to “extensive and massive war,” is one of the paramilitary groups formed by the military during the Arroyo administration. Similar paramilitary groups were formed in other regions, carrying out attacks against communities and targeting Lumad leaders and schools, in behalf of the military. 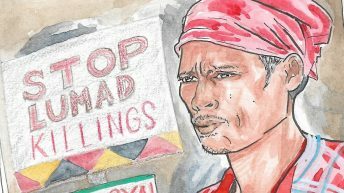 In 2015, another Lumad paramilitary group, the Magahat-Bagani attacked and killed the head of the Lumad high school Alcadev and two Manobo leaders in Surigao del Sur. “Kahit bata, matanda, papatayin nila. Basta kasama sa Salugpungan, mga NPA na daw (They target to kill even children and the elderly. Anyone who is with Salugpungan, they say is with the NPA),” she said. The school STTICLC was built by and named after the group Salugpungan ta Tanu Igkanugon, literally “unity in defense of ancestral land.” The group led by Datu Guibang Apoga was formed after the declaration of a pangayaw, a tribal war against the Alcantara and Sons logging company that has encroached into the Ata-Manobo ancestral lands in Pantaron Range. 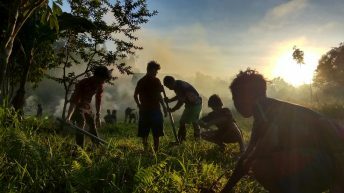 The pangayaw successfully stopped the destructive logging activity, but Salugpungan has since become a target of government counterinsurgency operations. Mandacawan recalled that a few years ago, soldiers encamped at a school across STTICLC and randomly fired at them, throughout the day, for a whole week. “Dapa, sulat, dapa, she described their mode of holding classes, as they lie on their stomachs during the shooting, and continue the lesson during the lull. In 2015, her community evacuated and spent almost a year in Davao City after soldiers encamped and harassed their leaders. Also among the victims was a 14-year-old Lumad student who was raped by two soldiers who encamped in her home. This year, on June 20, a CAFGU member strafed their school, wounding one of the students. Their teacher, Manobo Ramel Miguel, was believed to be the target of the attack, which traumatized the whole school and community. The school evacuated to Davao City, where they resumed classes. Among the evacuees was Bay-ao. 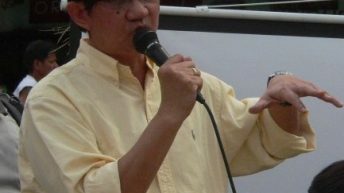 Although he regularly joined rallies, he did not join the Lakbayan so he can continue his schooling as a grade 6 student. More residents evacuated, after an Alamara member told the community to leave because they will burn the school – apparently emboldened by Duterte’s threat to order the bombing of Lumad schools. Bay-ao had just returned home along with other evacuees when was killed. In spite the persistent attacks on their community and schools, and the repeated evacuation, Mandacawan said it only pushed her to assert the rights of the Lumad. “It inspired me to fight,” she said in Filipino. Surely, those who will join the NPA will not announce their plan to do so, and the Lumad teen may have let her grief take over her words. Still, she expects that she will be on the Alamara and military’s wanted list, even as she remains a student. “They may soon be after me, when they see my face on the television, ‘that there’s an NPA,’” she said in Filipino. She said she and other Salugpungan students barely slept a wink last night, restless over their cousin’s tragic death. They wanted to protest at Camp Aguinaldo. All of them vowed to continue the fight. His schoolmates will make sure he will not be disappointed.